naked cricket: What is Anthony Puttick? It is a cricketer that captained the Cape Cobras. That would be the obvious explanation. But I think there’s more to it. In today’s post match interview for instance, it did not bare its fangs, barely opened its mouth. The other day in Bangalore at the delayed toss, Puttick was all set to fly with cape, cobras, fangs, cruel intentions et al. His eyes were all over the place, his words were bouncing off the light towers. If it wasn’t obvious, the ladies in the box even mocked him. Sure, on the face of it, Puttick does look weird. He took over from Graeme Smith. But that’s just the surface tension. Deep down I’m sure Andrew Puttick is a normal South African, who does what they do best: Get knocked out in knock out games. But then again, those fangs. 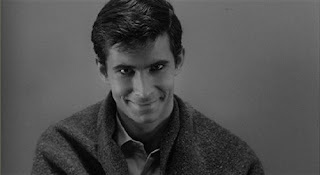 And I just checked out some old Anthony Perkins’ pictures.